Robin Wilde is an awesome single mum. She's great at her job. Her best friend Lacey and bonkers Auntie Kath love her and little Lyla to the moon and back. From the outside, everything looks just fine. But Robin has a secret. Behind the mask she carefully applies every day, things sometimes feel...grey. And lonely. She struggles to fit in with the school-mum crew. Online dating is despair-inducing, and how can she give her little girl the very best when, honestly, some days it's hard to find a clean pair of knickers? After 4 years (and 2 months and 24 days) of single mum-dom, Robin realises it's time to get out there and Change. Her. Life! Will Robin seize the possibilities she creates for herself? And what surprises does her life have in store if she does? 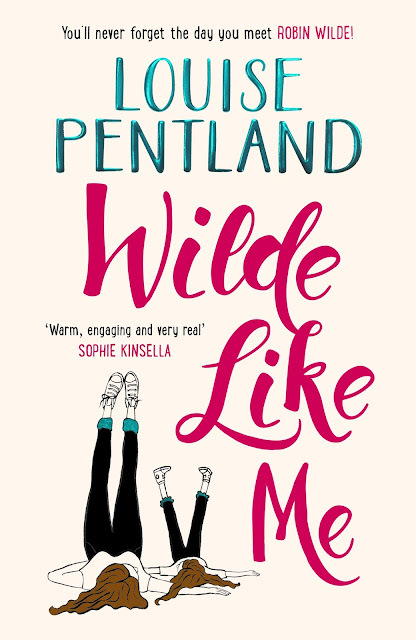 Wilde Like Me is written in an easy to read, chatty style that echoes Louise Pentland's Sprinkle of Glitter YouTube channel. Robin Wilde feels empty. Sure, she has a fantastic job with a great boss and a gorgeous daughter, but her life still feels ... empty. Dull. She's sick of being single and trying to measure up to those perfect mums, with their perfect husbands and their perfect children. Will she ever fit in with the mums at her daughter's school? And. Will she ever find her perfect man? Louise Pentland has created some wonderfully likeable characters in this story of Robin Wilde, from Aunt Kath to the bumbling ex-fiance that is the father of Robin's beloved daughter. I thoroughly enjoyed this book and can't wait for #2 to come out! If you like Bridget Jones, you're sure to love Robin Wilde. Not recommended for readers under the age of 18.